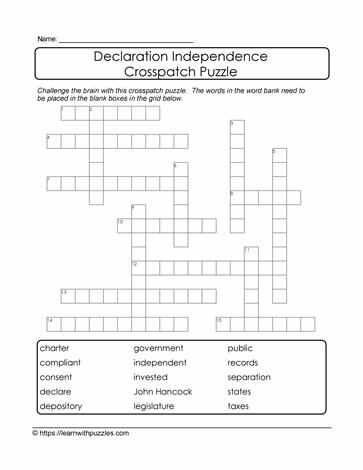 Declaration of Independence crosspatch downloadable puzzle to print. Challenge family, friends and classmates to see who can be the first to complete this printable crosspatch activity. Suitable for students in middle grades 7,8,9 classrooms. This printable puzzle is also a great addition to complement home school learning.